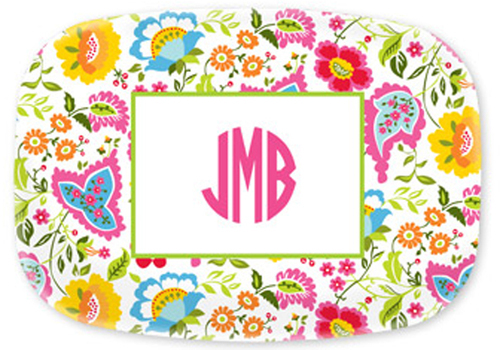 Bright Floral Platter. Beautiful and practical, these melamine platters are offered in a variety of colors and patterns...and each can be personalized with your monogram or message. They measure 10 x 14 and are food and dishwasher safe but are not suitable for microwave use. light variations with this product reflect the hand-made craftsmanship. Custom made in about 10 business days.